Last Saturday was the Séminaire Poincaré at l’Institut Henri Poincaré in Paris. 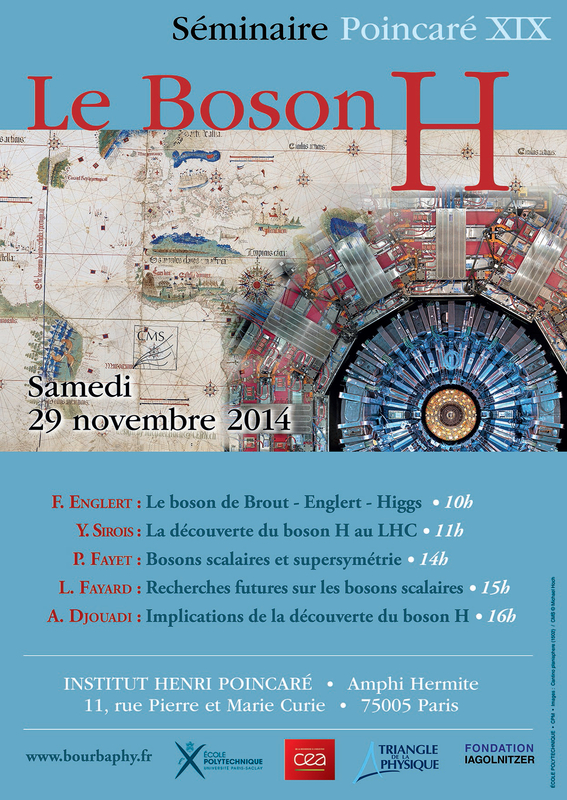 There was a whole day of talks on ‘Le Boson H’ which translates to ‘the H[iggs] boson’, although for reasons that may soon become apparent, it was only referred to as the H boson in the talks. Unfortunately because of a flight that evening, I could only make the morning session, but the timing wasn’t too bad as the first talk was the one that I really wanted to see. That morning was one where I truly appreciated living in Paris. I woke up at a reasonable time for a Saturday morning and took a short bus to the institute, which is close to the Pantheon and just south of the Notre Dame cathedral. The lecture theatre was smaller than I expected, but completely packed when I arrived and it was difficult to find a seat. Not surprising since the first talk was given by Professor François Englert, the Belgian theoretical physicist who shared the Nobel prize for physics in 2013 for: “… the theoretical discovery of a mechanism that contributes to our understanding of the origin of mass of subatomic particles, and which recently was confirmed through the discovery of the predicted fundamental particle, by the ATLAS and CMS experiments at CERN’s Large Hadron Collider”. Prof. Englert answering questions after his Seminairé Poincaré talk. The talk was in French, but with the use of the slides and a knowledge of the subject I was able to follow along happily. When the seminar stopped for lunch, I went down to the front to talk to Prof. Englert. I asked if he would sign my copy of the seminar papers, which he was more than happy to do. 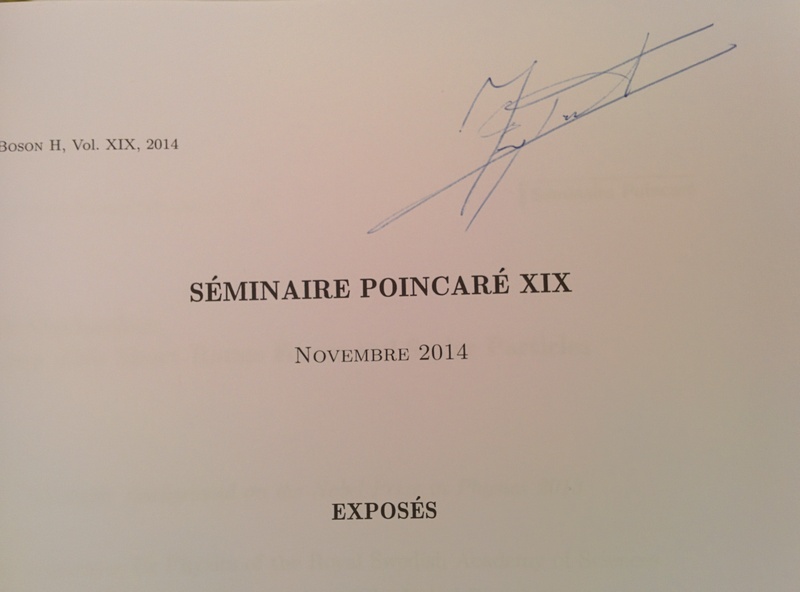 Signed copy of the Séminaire Poincaré papers by Prof. Englert. 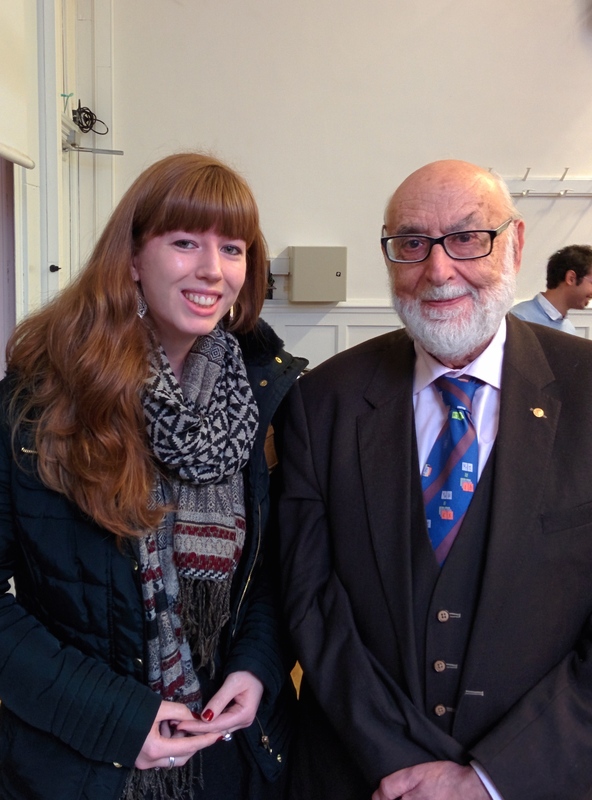 I explained to Prof. Englert that I was a particle physicist working on the ATLAS experiment at CERN. He asked if we’d met before and I told him that although we’d not met directly, we had been present in the same room, when the announcement of the new boson discovered at CERN was made in 2012. He apologised to me for not recognising me, to which I replied that it was a busy and exciting day, plus I was all the way at the back of an extremely packed auditorium, while he had been reserved a space at the front. It was a very nice chat and an honour to meet him. Afterwards I asked if we could have a photograph together. 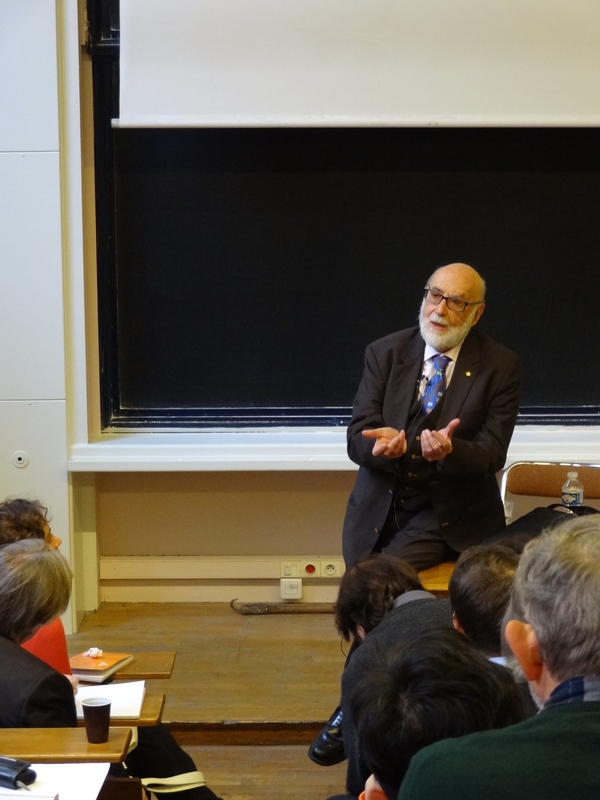 Edit: If you look closely at the photo you might be able to see that Prof. Englert was wearing a particle physics tie and, the ultimate physics fashion accessory, a Nobel prize gold pin. While I was curating the @RealScientists account and generally being a tourist at work around CERN, I snapped a photo of dishwasher that was being used to clean a readout board I needed for my test beam experiment. I put the photo up on Twitter and it got a little bit of attention. The photo was spotted by CERN, and yesterday Rosaria Marraffino wrote a CERN bulletin article about the dishwasher. It seems to be a very popular image as only a day later it’s already amassed over a thousand retweets on Twitter! Here’s the tweet (below) and a link to the article.